Sens. Murphy and Blumenthal have bills proposing millions of dollars in federal money to help homeowners with crumbling foundations. Both of Connecticut’s U.S. senators now have bills in Congress aiming to help homeowners affected by crumbling foundations at the federal level. The plan being proposed in Congress is to get what amounts to cash to help homeowners. In the grand scheme of the federal budget it is not a lot of money, but political realities, and the fact that Connecticut is a blue state, could make crumbling foundations a tough sell in D.C. The geography of homes with crumbling foundations is growing. 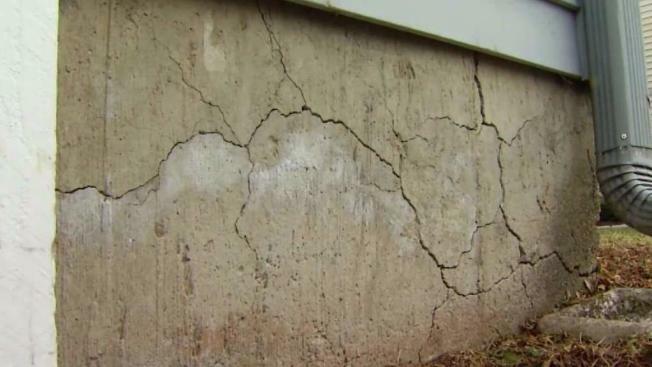 The NBC Connecticut Troubleshooters confirmed that a home in Bloomfield has a failing foundation related to the mineral pyrrhotite, the second case west of the Connecticut River. Both Democratic senators Richard Blumenthal and Chris Murphy are proposing funding for repairs to the tune of $200 million in total. The $100 million in Murphy’s bill would be run through the Department of Housing and Urban Development for states like Connecticut with funds dedicated to homes with crumbling foundations. Blumenthal’s bill is a $100 million grant program that would be administered through FEMA. “That amount of money is less than a rounding error. That’s barely enough to pick up the pencil and do a rounding correction for the federal government and that moral obligation has to be persuasive to FEMA,” Blumenthal said. Getting that money could be the tallest task of all. Republicans control Congress, and the tax cuts passed late last year his historically blue, higher tax states like Connecticut hard, meaning these issues are not priorities for many members of Congress. Murphy said he needs to work hard to change that. “We’ve got to make our colleagues understand that this is a disaster not unlike these other natural disasters and the federal government has to step up in the same way,” Murphy said. Blumenthal said these are not intended to be perfect fixes and that the insurance industry is still a target. “Once they discovered this problem, they changed their policies without telling the insureds, the customers who bought those policies. I think that verges on fraud, frankly. But, one way or the the other, they have a moral responsibility,” Blumenthal said.